Igoumenitsa Port Car Rental – Did You Know? Its natural port is one of the main entrances into Greece from all over Europe. Igoumenitsa and Threspotia in general, is a region with a long history, reaching back to the ancient years. Today, Igoumenitsa is a very popular tourist destination for visitors to Greece. The natural beauties and charm of the region make it one that many visitors return from time to time. From Athens, the distance to Igoumenitsa, via the bridge of Rio-Antirio, is approximately 495km. From Thessaloniki in the north of Greece, the distance is approximately 400km. Why Should I Choose to Travel to Igoumenitsa? Igoumenitsa is more of a point in a journey than the destination and it forms a hub for most travellers on their way to and from Italy, Corfu, Northern Greece.. Many of the ferries transport cars as well but if you’ve flown to any of the countries served by Igoumenitsa and hired a car there you’ll find it cheaper to hand your hire car back and collect a fresh rental car when you arrive at the port. The Egnatia Odos motorway, opened in recent years that links Igoumenitsa with Thessaloniki and Athens has encouraged a boom in traffic using the port to get to Greece’s second city and the Athens. Which Ports are served by Igoumenitsa? From Greece you can travel to and from Patras and Corfu. From Italy you can travel to and from Brindisi, Bari, Ancona and Venice. Some of these journeys can take up to eighteen hours so the ferries have entertainment, cabins and refreshments available. What is the Port Like? It’s modern, clean and efficient port with good facilities. Split into several docks, some handle cargo only whilst the passenger terminal has a restaurant, toilets, a small selection of shops and street vendors selling hot snacks and drinks which you can enjoy in what is a pretty setting with mountains backing the port. The port is equipped to be able to help passengers with mobility issues but they suggest you advise them by phone on +30 26650 99300 or email at olig@olig.gr before you travel so that an assistant can be on hand to help. We should also mention the frequent sea lines to many ports of Italy. 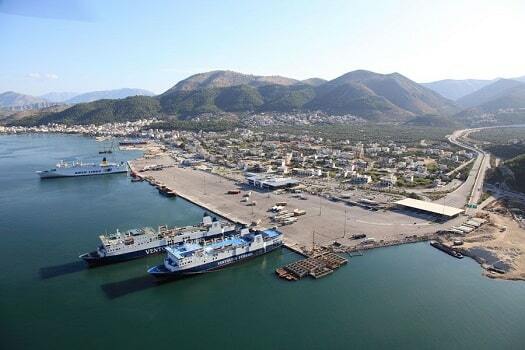 You can find the Service Station of PBG Limitless in Igoumenitsa port, We also serve the national port of Igoumenitsa. PBG Limitless Car Rental Why to book your rental car with us? PBG Limitless is the top rental in area we rent Cars, Scooter and Motorbikes in Location of Aktion. Find with us. cheap car rental offers, Economy rentals, Sedan, Jeep Rentals, Automatic, 7 & 9 Seater for low cost rent a car in Aktion. Furthermore we have Full insurance at all our car rental deals that including on our rates from 17€ per day. PBG Limitless they just can to put the price for your car rental.